Who am I? How do I define myself? How does my identity change and evolve? Lesson 1 - Who Are You? What Is Identity? Who Are You? What Is Identity? Formative Task: Box of Self: 10 items/visuals/quotes that define you: place in a shoebox or create some kind of visual display. Gallery walk, guess who it is, present to peers. a. Plot: How does the author’s identity change from the beginning of the story to the end? Use this quote as a reference: “Eventually, my sisters went away with the stallions, leaving me with years and years to think about what they were, and what I was, and how, because of them, no one will ever ride me”. How does this quote clearly show the author’s sense of identity? b. Setting: What is the setting in the story and how does this provide us with more information about the author’s identity? c. Character: How has the author’s identity been shaped by his two sisters? Has sibling rivalry played a role? d. Tone/Voice: How does the tone used by the author and his sense of voice provide more information about his identity? e. How does the author use the extended metaphor of the horse to more fully help us know, understand, and empathize with him? f. Conflict: How does the familial conflict between the author and his sisters, and their juxtaposed behaviours, allow the reader to understand the author’s identity? 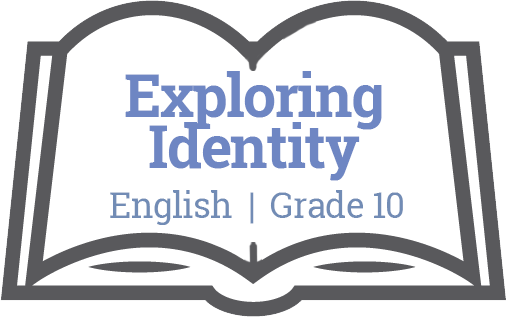 g. Point of View: Why is the use of first person narration so effective in this story, as it relates to the idea of identity? h. Theme: What is the theme of this story? How does the theme support our understanding of who the author is?